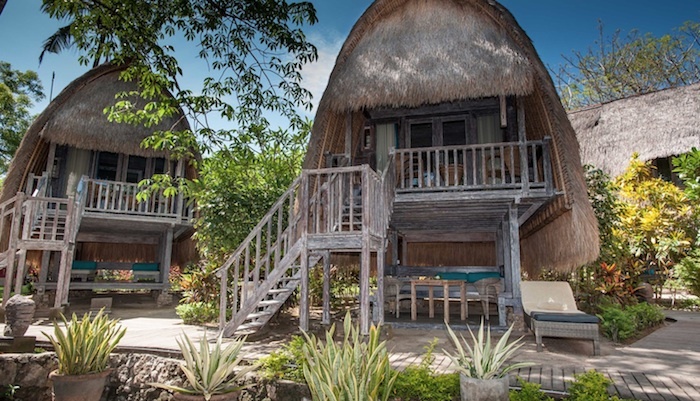 Twin Island Villas is your idyllic island escape and is perfect for those looking to get a little off the beaten track and away from the main strip of Jungut Batu, whilst still being able to enjoy the luxury of modern comforts. 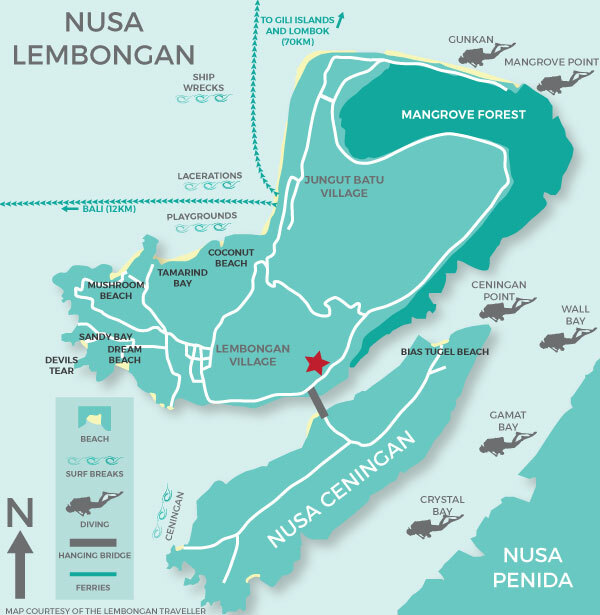 Situated on the South end of the island, with panoramic views overlooking neighboring Nusa Ceningan, a stay at Twin Island Villas is what island living is really all about. Australian owned and operated, The Villas offer a blend of Eastern and Western hospitality. More than a hotel, our 3 private serviced villas aim to give you a feeling of intimacy lost in larger resorts. Featuring a natural garden setting, wonderful views and a number of areas to relax and unwind. 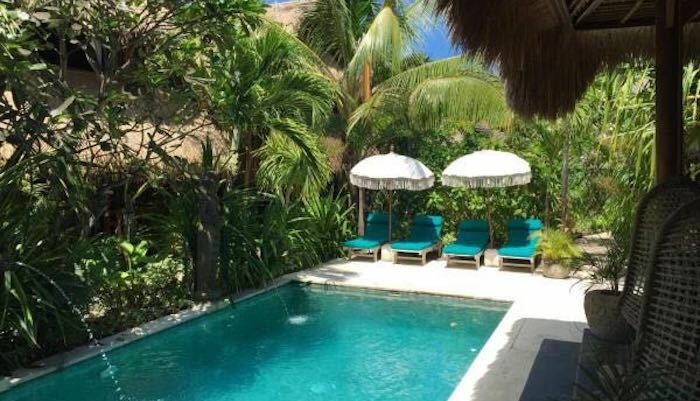 Our Villa Kecil and Villa Cinta are one bedroom and each boast their own private plunge pool. Our Villa Lumbung offers more space and comfort and can be rented as either a one bedroom or two bedroom villa. 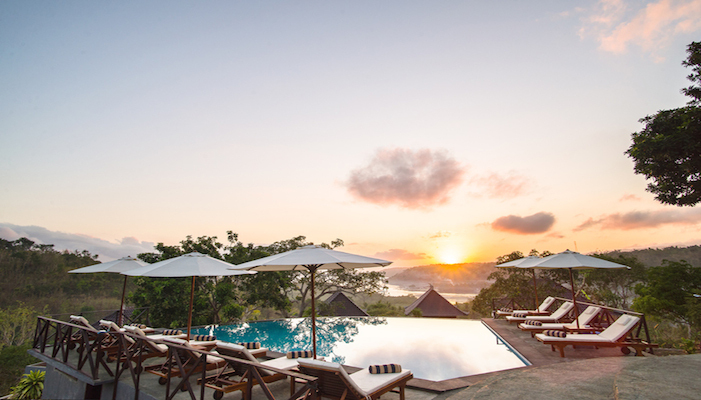 The resort also features an infinity pool available for all guests to use. Full daily breakfast is available for all guests. We have a wonderful, welcoming team of staff who delight in helping you make the most of your stay here at Twin Island Villas. Adults only, children are not accepted. King-size Bed, en-suite bathroom, air conditioning, ceiling fan, minibar, balcony, toiletries, free Wi-Fi. King-size Bed, en-suite bathroom, toiletries, air conditioning, ceiling fan, minibar, free Wi-Fi, balcony, sea & garden view. 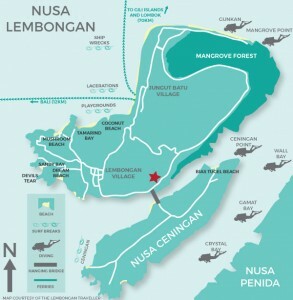 King-size Bed, bathroom with Hot Water Shower, toiletries, air conditioning, ceiling Fan, minibar, free Wi-Fi, balcony (Rumah Lumbung), sea & pool views. King-size bed, en-suite Bathroom, toiletries, air conditioning, ceiling fan, minibar, free Wi-Fi, balcony, sea & pool views. King-size bed, en-suite bathroom with hot water shower, toiletries, air conditioning, ceiling fan, minibar, free Wi-Fi, balcony, plunge pool, sea & garden views. (late check out fee of IDR 200,000 applies, subject to availability, till 4pm).